4 out of 5 Hispanic households have less than $10,000 in retirement savings, according to a recent report by the National Institute on Retirement Security. While many American workers find themselves financially unprepared for retirement, among ethnic groups, Latinos have been reported as being the least prepared. 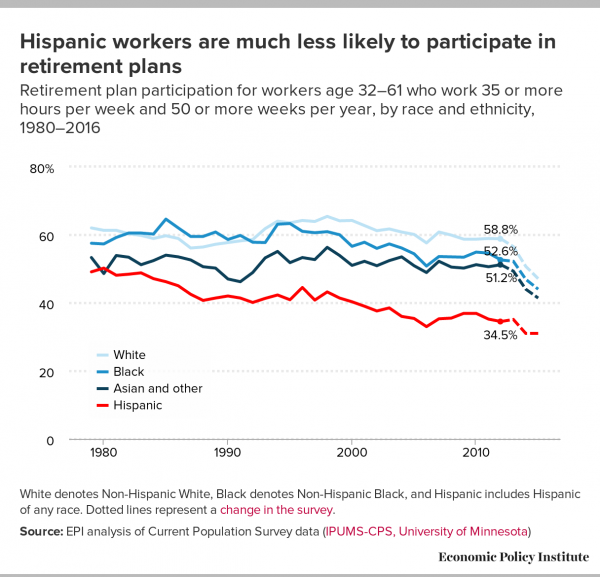 The wealth gap in America is often blamed for the retirement struggles faced by minority groups living here, but for the second-largest ethnic group in the United States totaling some 52 million people or 17% of the national population, Latinos don't want to be left behind any longer. With little or no savings, the majority of Latinos here face an uncertain future with two main hurdles to saving for retirement: Many Latinos hold low-wage jobs in the private sector, and they are the group least likely to have access to retirement planning resources. So how can they overcome these barriers? Access to financial planning information and choosing the right location to live in. As younger generations of Latinos enter the workforce, they are feeling the pains of living paycheck to paycheck, and providing for not only themselves but for their baby boomer parents - the older Latino group that first immigrated to the US. With less money, and more people to care for, they want solutions. Aquiles Larrea, Founder of NYC-based Larrea Wealth Management, says, "Latinos want to be better educated financially, however they often feel overwhelmed with the information out there." As a firm that specializes in advising Latino entrepreneurs and executives on financial and retirement planning, they have found that Latinos could immensely benefit from both self-education and reaching out to a qualified financial advisor who might help shift their mindset and thus change their outcome. Furthermore, relocating to a state that is less financially taxing would benefit Latinos. States with the lowest taxes are a selling point for any retiree, but for a Latino it can make the difference between straddling poverty and living comfortably. Traditional 'gateway' cities like New York, Los Angeles and Chicago are becoming less appealing to Latinos as they are finding better home prices across state lines. Accessible home ownership coupled with Social Security exemptions in states like Delaware, Florida, Tennessee, or Louisiana, as well as exemptions for other retirement income, such as pensions and withdrawals from tax-deferred retirement plans, are shifting immigration patterns among the Latino population. Tools like eRetirement's Personal Retirement Assessment calculate ideal retirement destinations based on an individual's current financial position and personal preferences. They use metrics like cost of living and affordability, public transportation options, access to health care, among almost 60 other data points, to determine the best city and state for someone to relocate to. Identifying where Latinos should go to live comfortably and save sufficiently is critical not just for them but for future generations. There are few resources available online to help aging minority groups find where best to retire, considering their personal, financial, and medical needs. 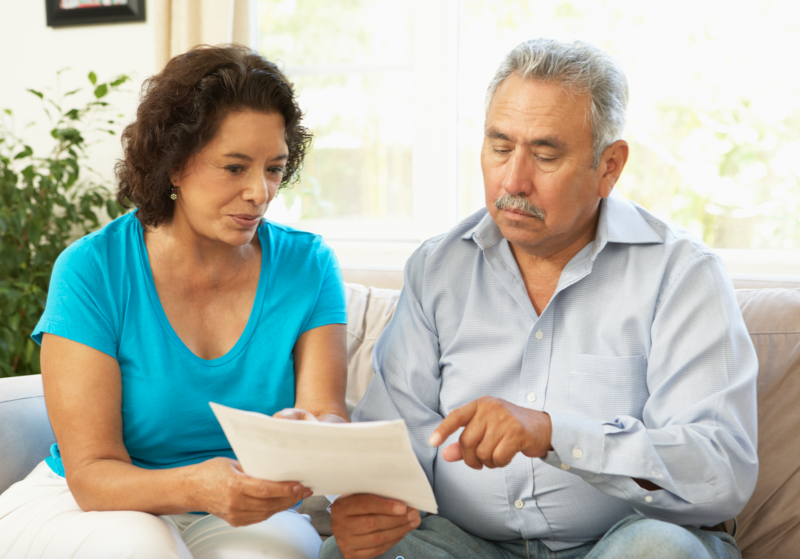 Provided with proper financial guidance and retirement resources, Latinos will be armed with a holistic approach to solve how and where to retire. http://www.larreawealth.com/ Larrea Wealth Management bridges the knowing-doing gap with regards to financial planning, wealth management and retirement savings for Latinos in America. Larrea Wealth Management is based in New York City. This press release originally appeared in Nasdaq, on June 8, 2017.